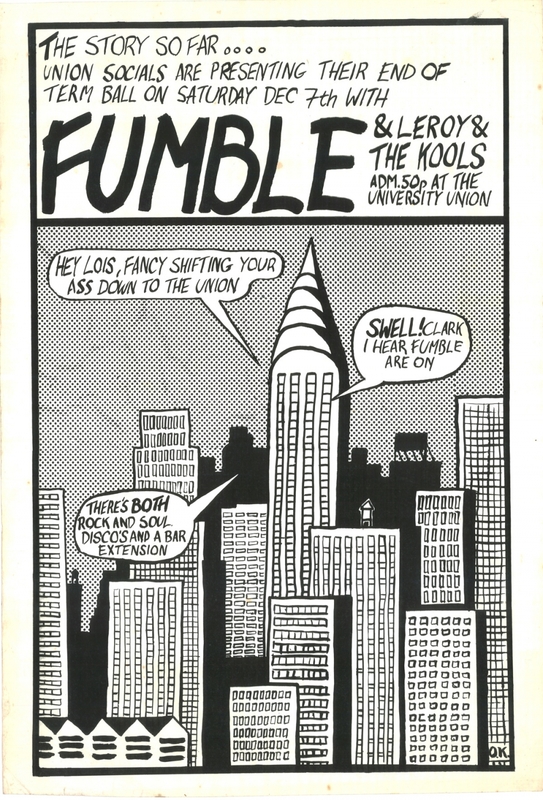 FUMBLE & Leroy & The Kools & OK Disco. Manchester University Students Union, Sat Dec. 7th. 17x 24in.